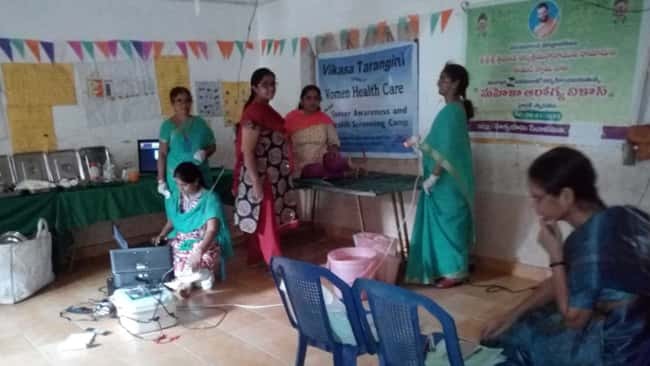 Under the guidance of HH, Sri Sri Sri Tridandi Srimannarayana Ramanuja Chinna Jeeyar Swamiji, Womens Health Care (Mahilia Arogya Vikas) team of Twin Cities, conducted a free camp on Jan 21 2018, at Bapuji Nagar Community Hall, Boinpally, Hyderabad, under the coordination of Smt. Suneetha Madiraju. The patients and individuals who attended the camp expressed their gratitude to the members and also to Sri Swamiji for holding such free health camps. Sri Nageswara Rao (Lions Club) & Dr Pandu Ranga Rao, Sri Narsing Rao, Sri Mahesh, Sri Narendar, and Sri Rama Rao. Mahila Arogya Vikas Co-ordinator Smt. 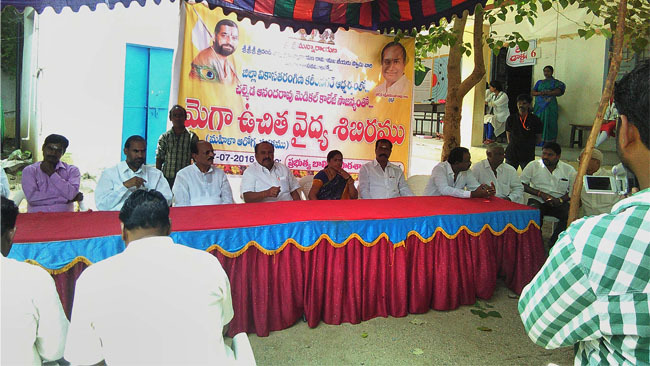 Suneetha Madiraju and members Smt. Padmasri,Padma, and Sujatha.